Nearly 50 families have moved to Rose Valley in the last 1000 days. We thought it was time to introduce these folks to the “Magic” of Rose Valley. What better way to do that than at an Ice Cream Social held at Thunderbird Lodge? Then we invited Rose Valley’s organizations to meet the new Rose Valleyites and encourage them to join or participate. 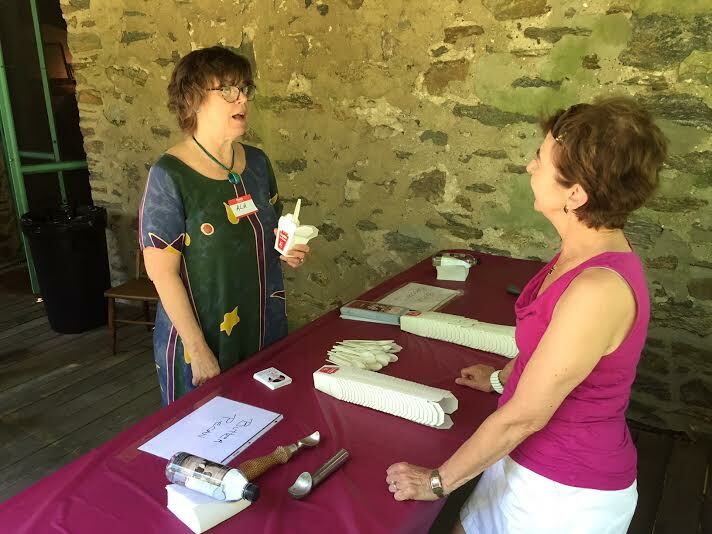 Ice cream from the Franklin Fountain was scooped by Barbara and Dan Sheehan on Thunderbird Lodge’s beautifully breezy porch at the June 12th event. 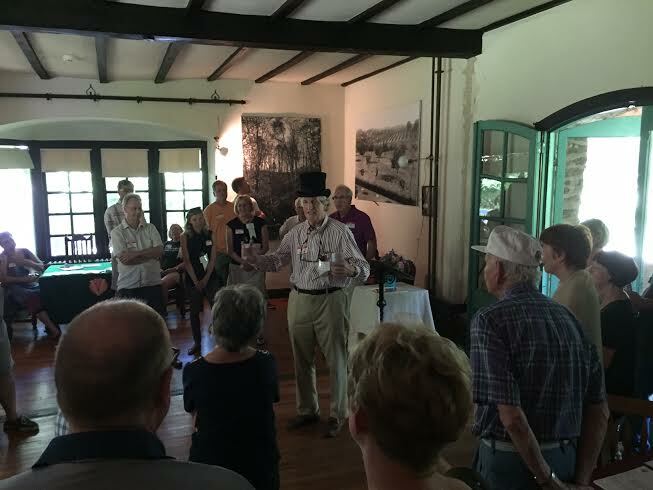 RVCF president TIm Plummer literally changed hats, donning his Mayor of Rose Valley ceremonial top hat to invite everyone to Rose Valley Borough’s annual 4th of July celebration a the Rose Valley Pool. ‹ Our plans – and our azaleas – are blossoming!